The President’s Commission on Combating Drug Addiction and the Opioid Crisis recently called for a state of emergency in dealing with the opioid epidemic, which now kills more than 100 Americans daily. Addiction to opioid painkillers has been fueling the dramatic rise in heroin abuse and overdose in the United States. People who abuse or who are dependent on prescription painkillers were found to be 40 times more likely to abuse heroin. Heroin is a low-cost alternative for people addicted to opioid painkillers whose prescriptions have run out. To make matters worse, dealers are cutting fentanyl – a cheap, synthetic opioid that can be 100 times stronger than morphine – into everything from cocaine, to MDMA, to heroin, which dramatically increases risk of drug overdose. In Vancouver, heroin is believed to have been all but replaced with fentanyl. With opioid addiction a national crisis, the U.S. continues to ignore the most effective addiction therapy in the world – a powerful and ancient psychedelic plant medicine from Africa called iboga. Why? Iboga started to grow in popularity in the Western world when it was discovered that ibogaine – one of the primary active alkaloids in the iboga plant – was extremely effective in treating drug addiction. Since this discovery, ibogaine rehab clinics have begun to pop up wherever the drug is legal, from Costa Rica to Canada. Unfortunately, its prohibition in other countries, such as the United States, where is it a Schedule 1 drug, has slowed scientific research. Ibogaine was first synthesized in 1901 and used in France to treat depression, but it was only in 1963 when a heroin addict named Howard Lotsof in New York took ibogaine along with six other heroin addicts, for what they thought would be a recreational drug experiment…though the visionary experience was not “fun” in the typical sense. The next day, six out of the seven participants, including Howard, discovered that when the hallucinations stopped, their cravings for heroin had vanished. Furthermore, they had not experienced any withdrawal symptoms either. Lotsof went on to advocate for ibogaine as an addiction treatment for the rest of his life, encountering plenty of skepticism and many political obstacles. Since then, iboga and ibogaine have been shown in observational research to interrupt multiple types of substance and behavioral addictions, mitigate opiate withdrawal symptoms, detox the brain and physical body, illuminate the root causes of addiction, and promote psychospiritual healing. Heroin addiction is a perniciously treatment-resistant dependency. Abstinence rates for recovering opiate addicts are about 10% after one year, using conventional treatment methods. Recent scientific studies indicate that ibogaine is highly effective in promoting drug abstinence after only one or two treatments. In a study from the early 1990s, Stanley Glick, a neuroscientist in the U.S., found that rats addicted to cocaine drastically lowered their drug intake after consuming ibogaine and that ibogaine blocks the receptors of addiction in the brain. In two recent observational studies being conducted by Multidisciplinary Association for Psychedelic Studies (MAPS), complete abstinence from the substance of abuse were reported as high as 20% in Mexico and 50% in New Zealand. Important factors in the New Zealand study were the closer proximity of follow-up as well as plans for continuing aftercare. The results of both studies were were published in 2017 in the American Journal of Drug and Alcohol Abuse. A study in Brazil showed a 62% rate of long-term abstinence for 75 individuals, mainly crack and cocaine users, with a variety of important factors including pre-treatment abstinence of 30 – 60 days with therapeutic support, high quality medicine, proper medical supervision, access to an extended stay aftercare treatment space, and additional ibogaine treatments for some patients. This work was published in November, 2014, in the Journal of Psychopharmacology. Long term abstinence rates as high as 80% have been informally reported by traditional providers with extensive experience in addiction recovery using the highly concentrated total alkaloid extract form of the medicine. An important factor was the motivation; the patient’s personal desire to change was far more effective rather than submission to external pressure by family or society. 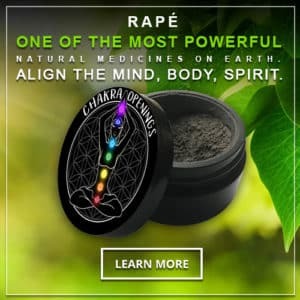 All of these rates related to iboga and ibogaine treatment are significantly higher than the 8 – 10% abstinence rate resulting from typical treatment models, which may include “drug replacement therapy” involving other prescribed toxic pharmaceutical substances. MUST READ Iboga Vs Ibogaine – Which Is Better for Addiction Treatment? It should be noted that abstinence is not the only measure of improvement with regards to holistic addiction recovery and harm reduction, but it is an important factor to examine. Multiples studies are revealing: Even in cases when ibogaine treatment doesn’t promote complete abstinence, it generally works to reduce the substance abuse and improve the patient’s quality of life in various ways. While it is still unknown exactly what causes the cessation of cravings, what we can observe is that iboga and ibogaine work to interrupt addiction by cleansing or resetting the receptor sites in the brain, restoring the neurotransmitters to the pre-addictive state, cultivating neuroplasticity, detoxifying the tissues, and facilitating deep introspection and insight regarding the roots of addiction and destructive patterns. The addict is given a clean slate and the neurological freedom to break out of old patterns and learn new ones. The holistic healing naturally promotes a profound sense of well-being, which is an advantageous place to begin from in the journey of recovery. From a traditional standpoint, the iboga plant spirit is said to impart spiritual teachings and foster love for the gift of life. Iboga and ibogaine are not a “magic bullet” for addiction treatment. For best results, these medicines require sincere preparation, full participation, and integration support. Proficient providers will offer support or guidance in these areas. The medicine often provides clear instructions for life changes; it may also be necessary to exit toxic environments and learn new life skills. Additional factors may help to sustain the freedom from addiction that iboga offers: spiritual disciplines such as yoga and meditation, ongoing counseling, healthy diet, good community, a safe and nourishing environment, therapeutic touch, 12-Step programs, other support groups, and artistic expression. Why Are Iboga & Ibogaine Illegal in the U.S? Unfortunately, iboga and ibogaine are currently illegal in the United States, Belgium, France, Switzerland, Sweden and Denmark. In the rest of the world, it is legal or unregulated. In countries where it is legal or unregulated, ibogaine treatments typically take place in private clinics, staffed by medical personnel administering ibogaine hydrochloride while monitoring the patient’s heart rate and other vital signs, and iboga treatments take place in private retreat centers, with traditional providers offering the total alkaloid extract along with medical support. For U.S. addicts to receive ibogaine treatment, they must have the resources to leave the country and receive treatment at a private clinic. Whether it’s big government or big pharma that is to blame for the legal unavailability of ibogaine in the United States is a big debate. The U.S. pharmaceutical industry has shown little interest in supporting clinical research trials for iboga and ibogaine, and it has been suggested that this is because iboga cannot be patented and long-term drug replacement therapies such as methadone and suboxone are more profitable. The U.S. government regulated ibogaine because of its hallucinogenic properties in 1967 and classified it as a Schedule 1 drug in 1970—with high abuse potential, no medical use, and severe safety concerns. Though adverse events and safety concerns have been an argument against the development of ibogaine as a standard prescribed treatment, it is known that the current mortality rates from ibogaine treatments remain similar to or, in some cases, less than those of methadone treatment. But unlike methadone, ibogaine is not a maintenance therapy: addicts typically experience relief after one or two doses. Iboga and ibogaine treatment itself may become safer over time due to the greater awareness of contraindications and safety protocol resulting from observational research. To help decrease risk, the Global Ibogaine Therapy Alliance drafted clinical guidelines for a ibogaine therapy, in addition to other valuable advocacy work. However, if ibogaine were not classified as a Schedule I drug, it would be possible to expand research and potentially have private ibogaine treatment clinics in the U.S. While countries that permit ibogaine use don’t have the backing of Big Pharma any more than in the U.S., what they don’t have is Big Government creating a regulatory blockade for preventing addicts and treatment professionals access to a potentially life-saving therapy. We are in the midst of a global opiate addiction and overdose epidemic. An estimated 2.1 million people in the United States suffer from substance use disorders related to prescription opioid pain relievers and an estimated 467,000 are addicted to heroin. The number of unintentional overdose deaths from prescription pain relievers has skyrocketed in the United States, more than quadrupling since 1999. With the opioid crisis reaching a state of emergency in the United States, is clear that ibogaine and iboga must be further researched as a treatment option. Elizabeth Bast serves as a writer, poet, yoga & meditation teacher, performance artist, healing artist, and holistic life coach specializing in entheogenic medicine integration, addiction recovery, and women’s empowerment. Bast studied at New College of San Francisco with an emphasis on Art and Social Change. Bast is the author HEART MEDICINE: A True Love Story, an award-winning memoir about a healing experience with the sacred Iboga medicine. She has experienced the Missoko Bwiti initiation and Rite of Passage in Gabon, Africa, and is currently in an iboga facilitator training with the Bwiti tradition. She studies the medical safety aspects of iboga treatments with Jamie McAlpin, R.N., of IbogaSafe. Since 2007, Bast has co-created with her husband, artist Chor Boogie, producing numerous collaborative works of visual and performance art at galleries, museums, and special events. Today they also serve as educators and advocates for iboga, sacred medicine ways & sustainability, the Bwiti tradition, indigenous peoples rights, drug policy reform, and holistic addiction treatment. She is currently based in the San Francisco Bay Area.